Specializing in lean product development, user-friendly design, and engineering excellence, we build custom, scalable, innovative software applications that make clients lives easier. Progressive mobile app solutions will help expand your business, by placing your services in the palm of your customers’ hands. “If you can think it, we can build it”. We build attractive, responsive websites for all browsers and devices, designed to keep you on the cutting edge of mobile optimized responsive design. Innovative search marketing agency specializing in online marketing for home improvement companies, utilizing proven techniques that have revolutionized lead generation strategy. Check out some of the websites from a few of our most recent customers. Although, we work with mostly home improvement contractors, our platform is pretty robust and can work well for most any sites. We took over the site in March 2016 and struggled a lot to generate leads in the beginning. 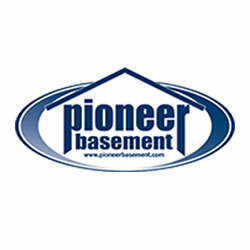 As we continued to add content and optimized the site, we got the site to rank on top of first page for "basement waterproofing boston" and other prominent keywords. That's why the leads started coming in. Since we get paid on generating qualified leads, our motivations were to get as many qualified leads as possible. We were able to develop a custom site that included various types of Collins buses with downloadable flyers for customers to print and take the information with them. The site also was optimized to reach targeted industries that include day-care centers, schools, and religious groups. 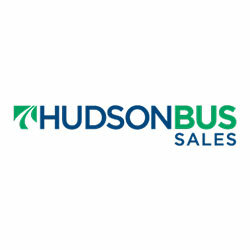 Hudson has grown into a DFW regional leader when it comes to bus sals, bus rentals, bus repairs and much more! 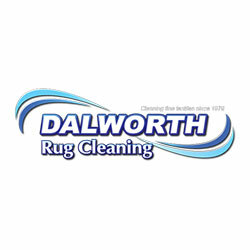 We have revamped the Dalworth Rug Cleaning site with more than 1,000 pages indexed by Google. They consistently generate more than 600 phone calls per month from the tracking number on the site. This has become one of our best-performing sites and Dalworth is an established industry leader throughout the DFW area. It took us 4 months to rebuild all the functionalities and improve on SEO/PPC conversions. We had this site for a long time now and our overall leadgen cost now is a little over $100 which is fantastic considering they were above $500 at one point. This is one of our most successful site generating more than 250 to 300 qualified leads a month. The principals of Central Station Marketing Technology have been helping entrepreneurs grow their businesses, and increase profits for over 25 years. Helping hundreds of businesses from coast to coast, and Canada to Florida with internet marketing programs, and tech savvy software innovations. They have owned and operated several home improvement companies in the Dallas - Fort Worth Metroplex area and have a thorough understanding of what makes home service businesses successful. A full-service agency that works with industry leading brands, inspired manufacturers, and aggressive entrepreneurs. Our core marketing strategy is designed to deliver results, from branding that is eye-catching & memorable, to platform design that encourages KPI’s and campaigns that drive consumer response. Whether you’re an entrepreneurial start-up or evolving your brand, CSMT will help you take the next step.